Reverend Albert Green (born April 13 1946 in Forrest City, Arkansas) is an American Grammy award winning soul and gospel singer who enjoyed great popularity in the 70s with the hit singles Let's Stay Together, Tired Of Being Alone and You Oughta Be With Me. Green boasted a voice capable of both fluid high streams of sugar and deep south growls and rasps. He has sold over 20 million records worldwide and was inducted into The Rock and Roll Hall of Fame in 1995, being referred to as "one of the most gifted purveyors of soul music." Green was born in Forrest City, Arkansas. He started performing at age ten in a Forrest City quartet called the Greene Brothers; he dropped the final "E" from his last name years later as a solo artist. They toured extensively in the mid-1950s in the South until the Greenes moved to Grand Rapids, Michigan, when they began to tour around Michigan. His father kicked him out of the group because he caught Green listening to Jackie Wilson. He was perhaps the ideal complement to the orchestral, syrupy, strong soul production work of HI Records wizard Willie Mitchell, who also helmed 70s classics for Syl Johnson, Ann Peebles, and himself. On October 18, 1974, Mary Woodson, a woman who was his longtime girlfriend, threw a large pot of sticky boiling grits on him as he was preparing to shower, because he didn't want to get married. She committed suicide in minutes, which deeply affected Green to turn to God and religion. This assault from behind caused third-degree burns on his back, stomach and arm. Deeply shaken, Green continued to reaffirm and grow closer to his deeply held love for God, and became an ordained pastor of the Full Gospel Tabernacle in Memphis in 1976. Continuing to record R&B, Green saw his sales start to slip and drew mixed reviews from critics. 1977's The Belle Album was critically acclaimed but did not regain his former mass audience. In 1979 Green injured himself falling off the stage while performing in Cincinnati and interpreted this as a message from God. He then concentrated his energies towards pastoring his church and gospel singing, also appearing in 1982 with Patti Labelle in the Broadway musical Your Arms Too Short to Box with God. According to Glide Magazine, "by the late 70s, he had begun concentrating almost exclusively on gospel music." His first gospel album was The Lord Will Make a Way. From 1981 to 1989 Green recorded a series of gospel recordings, garnering eight "soul gospel performance" Grammys in that period. In 1985, he reunited with Willie Mitchell along with Angelo Earl for He Is the Light, his first album for A&M Records. In 1984, director Robert Mugge released a documentary film, Gospel According to Al Green, including interviews about his life and footage from his church. In 1989, Green released "I Get Joy", again with producer/guitarist Angelo Earl. In 2001, he appeared in the movie and soundtrack of On the Line featuring Lance Bass. After spending several years exclusively performing gospel, Green began to return to Rhythm & Blues. First, he released a duet with Annie Lennox, "Put a Little Love in Your Heart" for Scrooged, a 1988 Bill Murray film. In 1989 Green worked with producer Arthur Baker writing and producing the international hit "The Message Is Love". In 1991 he created the introductory theme song for the short-lived television series Good Sports featuring Ryan O'Neal and Farrah Fawcett. In 1992, Green recorded again with Baker, the Fine Young Cannibals, and reunited with his former Memphis mix engineer (this time functioning as producer) Terry Manning, to release the album Don't Look Back. His 1994 duet with country music singer Lyle Lovett blended country with R&B, garnering him his ninth Grammy, this time in a pop music category. Green's first secular album in some time was Your Heart's In Good Hands (1995), released to positive reviews but disappointing sales, the same year Green was inducted into the Rock and Roll Hall of Fame. In 2000, Green published Take Me to the River, a book discussing his career. Green received a Grammy Lifetime Achievement Award in 2002. In 2001, Green's live cover of Sam Cooke's "A Change Is Gonna Come" was released on the soundtrack to Will Smith's film Ali (the song plays when Muhammad Ali learns of the death of close friend Malcolm X). By 2003 Green released a non-religious (secular) album entitled I Can't Stop, his first collaboration with Willie Mitchell since 1985's He is the Light. In March 2005 he issued Everything's OK as the follow-up to I Can't Stop. Green also collaborated with Mitchell on this secular CD. 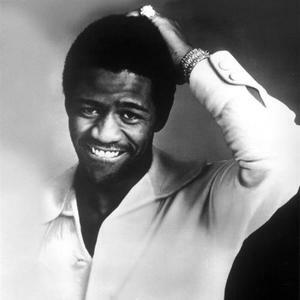 The title of Al Green's latest album Lay It Down released May, 2008, truly tells it like it is. Conceived as a collaboration between the soul legend and a handful of gifted young admirers from the worlds of contemporary R&B and hip hop, the album is drawn from a series of inspired sessions that yielded the most high-spirited, funky and often lushly romantic songs of Green's latter-day career. The project features the sophisticated R&B voices of singer-songwriters John Legend, Anthony Hamilton and Corinne Bailey Rae, and it was co-produced with Green by two of hip-hop's most innovative players, drummer Ahmir "?uestlove" Thompson from The Roots and keyboardist James Poyser, the go-to guy for high-profile artists ranging from Erykah Badu to Common. Add in Brooklyn's celebrated Dap-King Horns (Sharon Jones, Amy Winehouse), guitarist Chalmers "Spanky" Alford (Mighty Clouds Of Joy, Joss Stone) and bassist Adam Blackstone (Jill Scott, DJ Jazzy Jeff), among others, and you've got a modern soul-music dream team, fronted by the most expressive voice in the business.